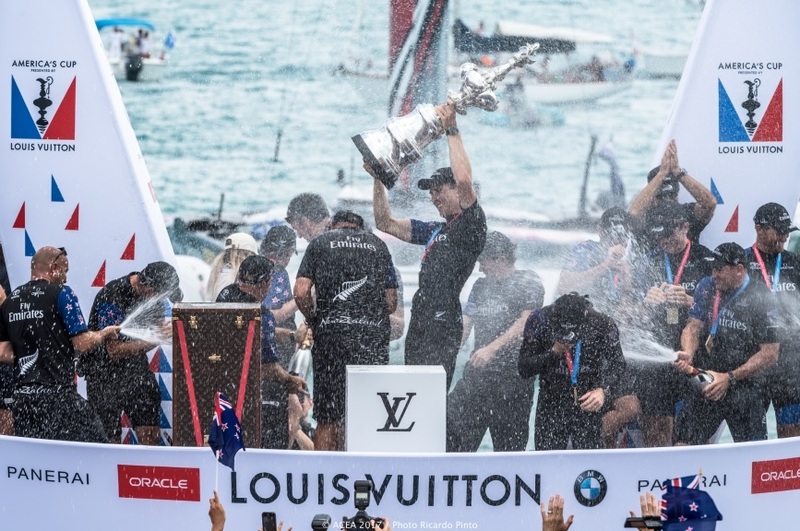 NZ Marine salutes Matteo de Nora, Tina Symmans, Bob Field, Greg Horton, Sir Stephen Tindall, Grant Dalton, Kevin Shoebridge, Peter Burling, Glen Ashby, Blair Tuke, the crew and all of Emirates Team New Zealand on winning the 35th America’s Cup. ETNZ showed an innovative and disruptive approach to design, engineering and boat building during their campaign. Combine that with the world’s best sailors, and they have done the almost impossible, and we at NZ Marine would like to express our absolute admiration for ETNZ winning the 35th America’s Cup. The New Zealand marine industry built both finalists’ vessels – Oracle Team USA by Core Builders of Warkworth, and ETNZ by Southern Spars of Avondale. Key suppliers to both teams have shown once again the capability of the New Zealand marine industry; New Zealand’s largest manufacturing sector outside of the primary sector. One of the key competitive advantages our marine companies have is an industry training organisation which is the world’s leading boat building apprenticeship programme. This programme continues to supply the New Zealand boat building industry with the most respected boatbuilders world wide. Emirates Team New Zealand’s success in bringing the Cup back to New Zealand provides not only the New Zealand marine industry with international business opportunities, but with the right planning and investment by central and local government, gives New Zealand the opportunity to make a significant point of difference to New Zealand as a country. “Winning the Cup in 1995 gave Auckland a new ‘front door’, with the building of the Viaduct Harbour. We must take this opportunity to think in an innovative way to make New Zealand an even more attractive country for our international visitors, as well as those of us who call it home,” says Peter Busfield, executive director of NZ Marine. From Bermuda, NZ Marine executive director, Peter Busfield. +64 21 676 744. For further information please see nzmacito.org.nz and NZ Marine and contact Peter Busfield, executive director of NZ Marine, or Chris van der Hor, general manager NZ Marine and Composites Industry Training Organisation.